Keith Walsh will be competing for a prestigious butchery award. IRISHMAN Keith Walsh will be looking to slice up the competition when he arrives in Perth for the Smokin’ in the City barbecue showcase this month. 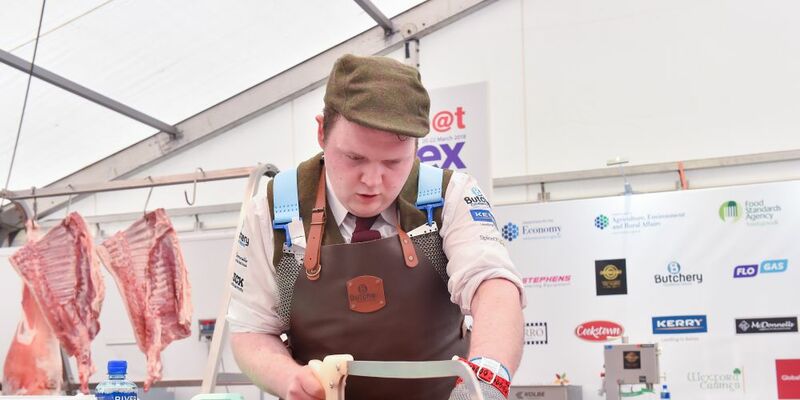 Mr Walsh is a third-generation butcher from Ballintra in Donegal and he has been short-listed to compete in the Lifeline Young Butchers International Cutting & Cooking Competition. The competition forms part of the Smokin’ in the City program, which runs over the weekend of April 21-22. Mr Walsh has taken part in the All Ireland Butcher of The Year Final and, along with his uncle and mentor Liam Walsh, they took home the title of ‘All Ireland Champion of Champions’ in 2016 and 2017. The Smokin’ in the City and Lifeline International Young Butchers Cutting and Cooking Competition will be held at a new venue this year – Woodville Reserve, on Fitzgerald Street in North Perth.